After bringing the ability to add photo reviews, the iOS client of Google Maps has again been updated, this time, to enable online food ordering. This new food delivery option sits in the Explore menu, and has been rolled out in select countries only. The new feature is not active in India, but users from eligible countries can head to the Explore Menu to now find new categories like “Best lunches” or “Cheap eats”. Clicking on them will give you a list of restaurants nearby that are accepting orders. The restaurant list will be shown in the form of cards informing users about the prices, review ratings, and the time the place will be open till. You can browse through the menu, and even place an order through the Google Maps app, or alternatively call the restaurant if you so prefer. Google Maps for iOS version 4.24.0 has essentially integrated food delivery services like GrubHub and Seamless to provide this new feature. This feature has been available to Android users for almost a year, and now iOS users finally get the chance to take advantage of it. Apart from online food delivery, Google Maps also adds support for plus code generation by just dropping a pin anywhere. Finally, adding a photo for a location has become easier, with a new ‘Add photo’ option visible next to existing images. 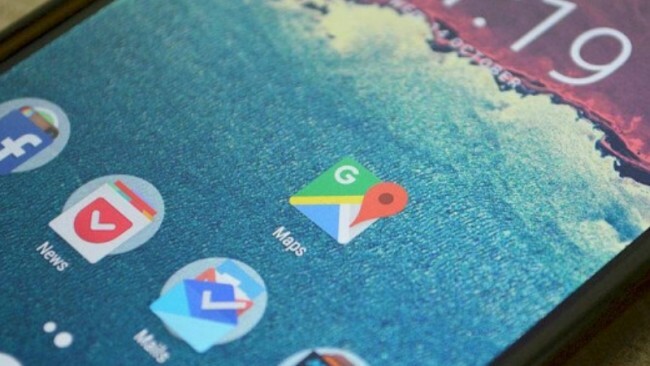 Users will be able to add images from the camera roll, or take one from within the app.With the last update, Google Maps for iOS introduced redesigned widget support, and the ability to add a photo while reviewing a place for more visual referencing. Recent tweaks also include subtle design changes, introduction of the new ‘Area of Interest’ feature, and the ability to add multiple destinations and pit stops to your route.